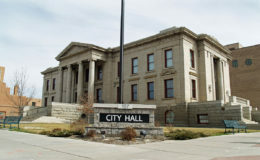 Learn how Warnable was able to solve the communication problems that existed in a Tri-State Municipality and their building locations. Warnable helps organizations quickly react and respond to events such as lockdowns, evacuations, security situations, medical emergencies, and more. Our programmable event templates helps organizations customize communications for different scenarios. So when an event happens, the right people are equipped with the necessary information to respond. Communications are contained within a single event. Reach people via app, text, or email. Communicate via chat. Users can check-in themselves or their population in real time. See where an event was sent from. Administrators can designate a relocation point, notifying users where to go. Provide plans for each event, so everyone can easily see what to do for each situation. 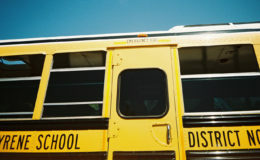 Warnable offers a suite of emergency response solutions for K-12 school districts and higher education. 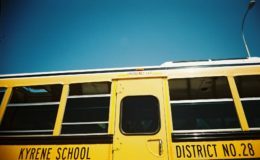 Warnable helps schools more efficiently respond to fire alarms, lockdowns, weather delays, and more. Warnable can help religious institution staff or groups off staff communicate in various situations. City municipalities can use Warnable to immediately notify and secure populations within the multiple buildings that are under city control. Hospital emergency management teams and safety committees can use Warnable to notify staff and ensure the preparedness of the population to respond to any emergency (Code Red, Code Silver, etc.). Corporations and other institutions can benefit from the two-way communication capabilities of Warnable, which ties all staff into the same channel and provides easy access to relevant information regarding each event. Warnable was a game changer for the city of Norwalk. Having served in in law enforcement for close to 30 years and providing safety inspections/recommendations for a variety of institutions, I haven’t seen a system that comes close to being able to equip a building population to stay informed and respond. 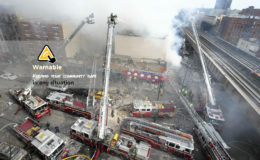 The tie-in with Norwalk’s first responders and dispatch allows us to respond more effectively to situations. With a direct line to all members within a building, we are able to receive data points that we may not have had otherwise, which can be critical during time-sensitive events. Our school uses the Warnable app to send messages en mass to our staff for evacuation drills and lock down drills. It provides us with a new way of communicating with our staff efficiently in real time in ways that email and text cannot. Our district has used Warnable this year as an accountability tool for our students and staff during our emergency drills. The app is extremely easy to use and it takes very little time to train staff on its use. Warnable gives the administration vital data and the ability to communicate with the staff in real-time. The Warnable Team is very responsive to our needs as a district and has been a partner in its implementation.